Californias Title 24 energy standards address the energy efficiency of new construction of, and additions and alterations to, homes and commercial buildings. Since buildings are one of the major contributors to electricity demand, the goal of Title 24 is to reduce energy consumption in California for its energy future. Effective July 1, 2014, the Title 24 Roofing Code establishes new requirements to promote the installation of Cool Roofs in Low Rise Residential Steep Slope Construction. Cool Roofs are roofs consisting of materials that reflect the sun’s energy from the roof surface, as well as have high emissivity, allowing them to emit infrared energy. Thus, significantly reducing energy costs and urban heat islands. Eagle Roofing Products is committed to adhering to the California Energy Commissions energy standards by providing our Customers with Cool Roof concrete tile solutions that not only meet the new requirements, but deliver the beauty, durability and value that youve come to expect. 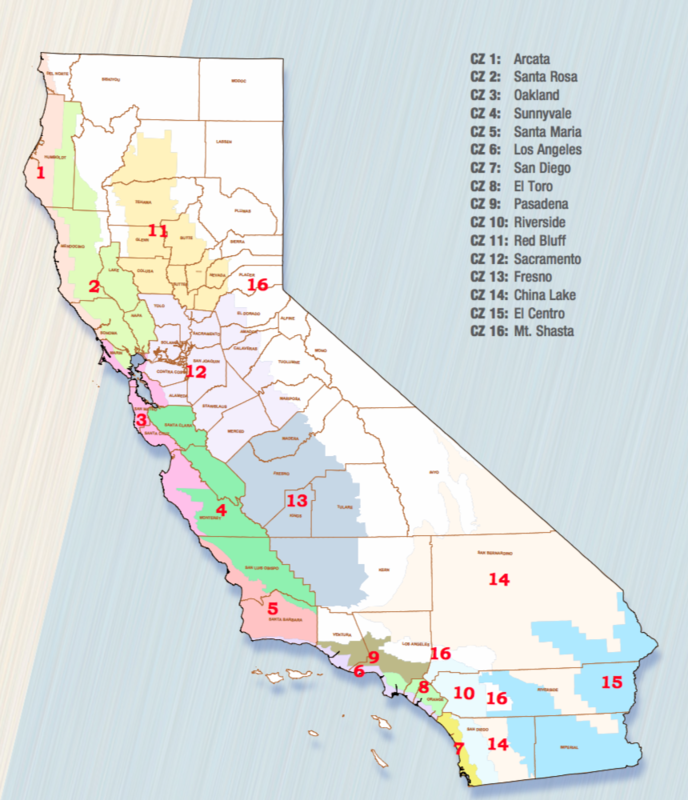 California is divided into 16 climate zones. Buildings located in Climate Zones 10 -15 need to meet, at a minimum, the following requirement as outlined by the California Energy Commission (CEC). Requirements vary by zone, depending on the building and the climate method. To see which climate zone your project is in and the requirements associated with your building structure, visit the CECs website. For new construction, the Performance Method, where you use the California Energy Commissions approved software to demonstrate compliance for the entire building is the preferred path. 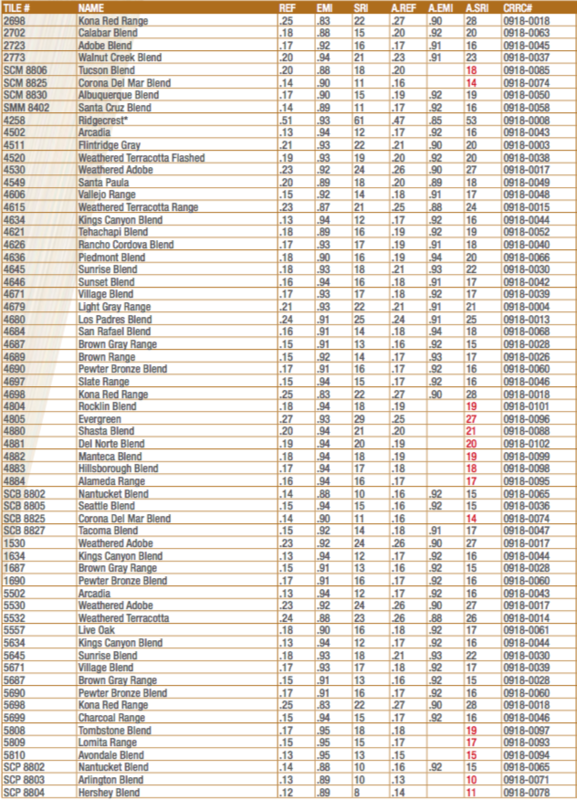 For a quick reference of our Title 24 compliant products, refer to the product index table below. 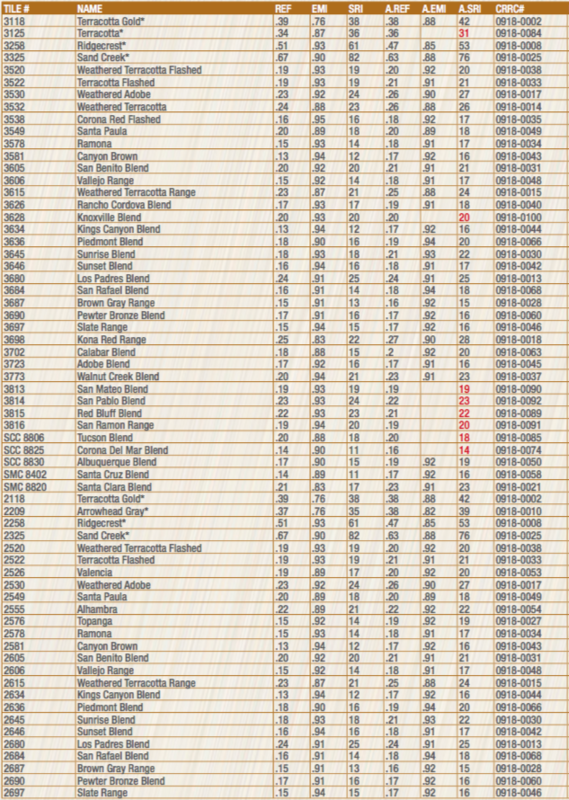 The numbers in red, represent a calculated (estimated) 3 year (aged) solar reflectance index, whereas, the standard color number represents an actual 3 year tested solar reflectance index.